The following are a few sample entries. Keep 'em coming...and feel free to submit multiple entires! 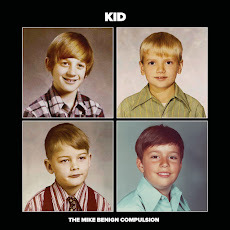 Why the change: It was decided that "Mike" couldn't be the name of the album as there are two Mikes in the band and you wouldn't know which of you the song was named after. So after much back and forth arguing, you brought in close friends to help make the decision and everyone, to keep the band from breaking up, decided on Martha, which fits the song much better anyway. Almost Album Name: "Singing along with Taint Sweatington and the McNuggets"
Why the change: Although you were in favor of keeping the original album name, you decided to pay homage to America's Modern Domestic Diva after reading her successful magazine series, "Good Cellkeeping." Why the change: Changed so consumers would not think they would have to have revealing x-rays taken of themselves before purchasing. Almost Album Name: "Rock of Ages: The Benign Musical"
Why the change: It's a little known fact that the original title for the new TMBC disc was "Rock of Ages: The Benign Musical." Unfortunately, the project, which was hailed as "Combining Full Metal with Soaring Melody" and "Finally Benign Delivers the Glam We All Knew Was in Him" was scrapped due to legal issues. According to court-filed briefs, the leather cod-piece that lead singer Benign insisted on wearing throughout the recording sessions had a legal claim by one Thomas Cruise. or any of Andy Dwyer's rejected band names would make GREAT album names.